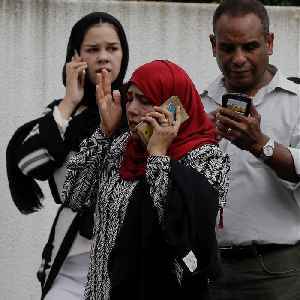 Muslim and Christian community members gathered at a Perth church on Saturday in the wake of the Christchurch massacre that has left 49 dead and dozens injured. 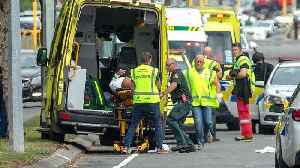 New Zealand has awoken grieving and on high alert after a massacre at two mosques in Christchurch left 49 dead and dozens more injured in the country's worst shooting and terror attack. 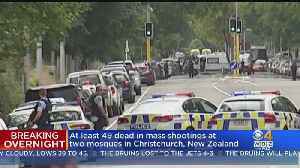 ▶ Videos for "49 Dead"
The man suspected of carrying out terrorist shootings at two New Zealand mosques was a frequent traveler. 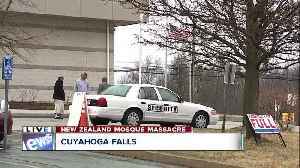 According to CNN, among other countries, the Australian spent time in Pakistan, Turkey and..
Muslim leaders are shaken and saddened by the horrific shooting that left 49 dead, but they are also showing strength through solidarity with other faiths. 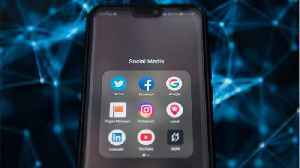 According to a report by Reuters, on Friday, global leaders criticized social media giants Facebook, Twitter, and Google over their handling of extremist content on their platforms, after video footage.. 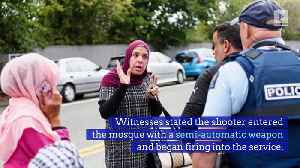 Listen to witnesses describe the scene of the tragic New Zealand terror attacks that left at least 49 dead. 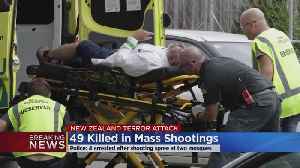 Forty nine people were killed in a mass shooting at two mosques in the New Zealand city of Christchurch. 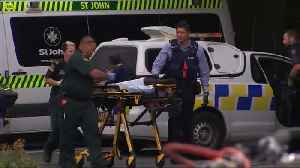 Nearly 50 people have died following a mass shooting at two mosques in Christchurch, New Zealand, on Friday. 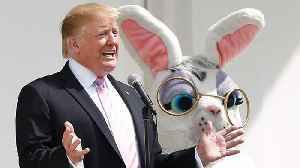 One man is charged with murder and three other people are in custody, after terrorist attacks at two mosques in Christchurch, New Zealand, left at least 49 people dead. 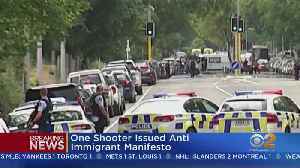 CBS 2's Gwen Baumgardner..
A gunman opened fire on two mosques in Christchurch, New Zealand on Friday, killing at least 49 people. 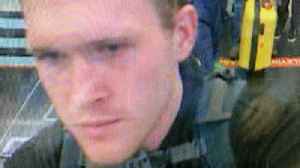 The gunman, described as a 28-year-old extremist from Australia, has been arrested. Katie Nielsen..
New Zealand's Prime Minister has called it a terrorist attack. 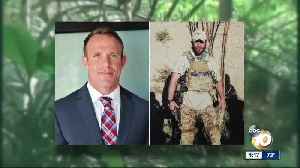 Police say one of three people arrested in connection with the attacks has been charged with murder. 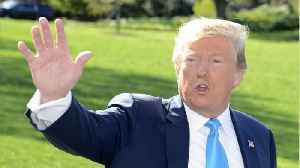 Three people are in custody, one charged with murder, following the shootings at two New Zealand mosques that left at least 49 dead and dozens more injured. 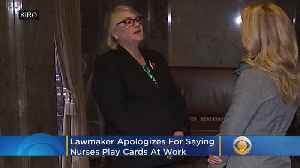 CBS2's Janelle Burrell reports. 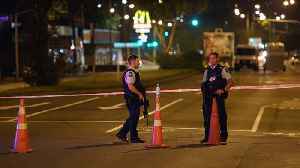 One man has been charged for murder and three other people have been detained in Christchurch after 49 people were killed in two mosque attacks. 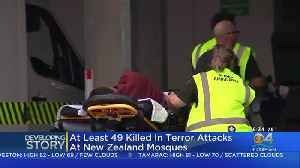 The attacks started during Friday prayers, with..
New Zealand police confirmed 49 people lost their lives in shootings at two Christchurch mosques. He was found dead at his home in the UK and police say the circumstances are not suspicious.